Wang Duo (1592-1652) was born in Mengjin in Henan Province. He styled himself Juesi with alternative names of Songqiao or Chi'an. Wang Duo (1592-1652) was born in Mengjin in Henan Province. He styled himself Juesi with alternative names of Songqiao or Chi'an. Famous as "Wang Duo the Fantastic Brush", he was a famous calligrapher in the end of Ming Dynasty and Early Qing Dynasty. Wang's calligraphy followed the classic style, created unique characters and had the beauties in form, style, rhythm and taste. His cursive-regular combination and perfect composition made a far-reaching influence on the calligraphers of later generations. Zhang Ruitu (1570-1644), who styled himself Changgong and with the alternative name Ershui, was a famous calligrapher in Ming Dynasty. Zhang Ruitu (1570-1644), who styled himself Changgong and with the alternative name Ershui, was a famous calligrapher in Ming Dynasty. He was a native of Jinjiang, Fujian Province. He was adept in running and cursive script and skillful with solid and side brushstrokes. His calligraphy style was elegant and had its own unique feature. Together with Xing Tong, Mi Wanzhong and Dong Qichang, He was regarded as one of the Four Famous Calligraphers in Late Ming Dynasty. This hanging scroll was written in 1625. The content came from the essay Yanzhi Shu by Xiao Dayuan, but some characters are different with the original work. Wen Zhengming (1470-1559) was a famous Ming Dynasty painter and calligrapher. His original given name was Bi with the alternative name Hengshan. Because people called him Zhengming commonly, he changed his name to Zhengzhong. Wen Zhengming (1470-1559) was a famous Ming Dynasty painter and calligrapher. His original given name was Bi with the alternative name Hengshan. Because people called him Zhengming commonly, he changed his name to Zhengzhong. Born in the present-day Suzhou, Jiangsu Province, Wen called himself Hengshan Jushi. He was a man of great attainments in several calligraphic styles and famous for the synthetic calligraphy. Wen's calligraphy was fluent, forceful and natural . When old, he imitated the sharp and aggressive style of Huang Tingjian. This work imitated Huang Tingjian's big characters. Shen Quan (1624-1684) ,who styled himself Zhenrui, with the alternative names of Yitang and Chongzhai, was a native of Songjiang in Shanghai. Shen Quan (1624-1684) ,who styled himself Zhenrui, with the alternative names of Yitang and Chongzhai, was a native of Songjiang in Shanghai. 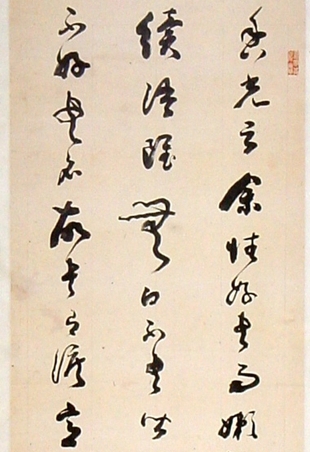 As a famous calligrapher in Qing Dyansty, he followed the style of Mi Fu and Dong Qichang and was appreciated by Emperor Kangxi. Kang Youwei (1858-1927) was born in Nanhai, Guangdong Province. Kang was the noted calligrapher and calligraphic theoretician at the end of Qing Dynasty. Kang Youwei (1858-1927) was born in Nanhai, Guangdong Province. His original given name was Zuyi, and styled himself Guangsha and Gengsheng and his alternative name was Changsu. Kang was the noted calligrapher and calligraphic theoretician at the end of Qing Dynasty. 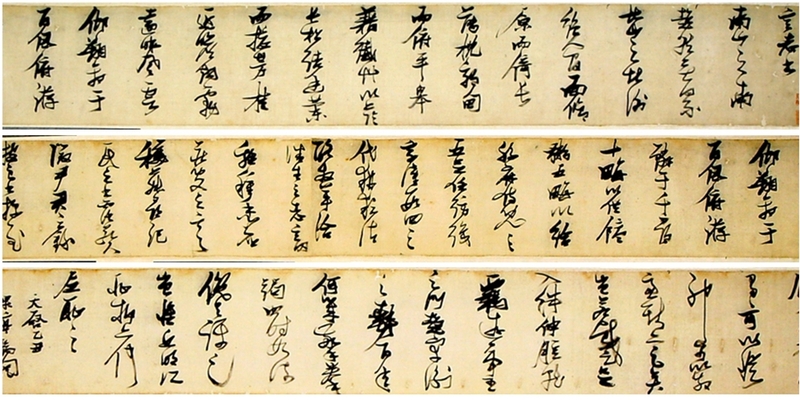 Influenced by his rich family background, he learned the calligraphy of several masters at an early age. 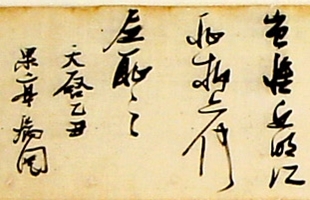 Kang promoted the inscriptions of Northern Dynasties after his middle age and created the unique "Kang Nanhai style". As a Manchurian of the Plain Yellow Banner, Tiebao (1752-1824) was a famous calligrapher in Qing Dynasty. As a Manchurian of the Plain Yellow Banner, Tiebao (1752-1824) was a famous calligrapher in Qing Dynasty. His styled himself Yeting with the alternative names of Mei'an, Meiweng or Tieqing. His family name was originally Gioro and later Dong'e. Tiebao followed the style of Yan Zhenqing in regular script and Wang Xizhi and Monk Huaisu in cursive script. He was as well-known as famous calligraphers Liu Yong, Weng Fanggang and Yongxing. Xing Tong (1551-1612), who styled himself Ziyuan, was a leading Ming Dynasty calligrapher from Linqing of Shandong Province. Xing Tong (1551-1612), who styled himself Ziyuan, was a leading Ming Dynasty calligrapher from Linqing of Shandong Province. Xing was famous for tablet calligraphy and was called one of the "Xing Zhang Mi, Dong" together with Zhang Ruitu, Mi Wanzhong and Dong Qichang. This hanging scroll imitated Yi Min Tie by Wang Xizhi. Weng Fanggang (1733-1818), who styled himself Zhengsan, had alternative names of Qin Xi and Su Zhai when old. Weng Fanggang (1733-1818), who styled himself Zhengsan, had alternative names of Qin Xi and Su Zhai when old. He was a famous calligrapher in Beijing in Qing Dynasty. He engaged in the study of bronze and stone tablets, especially the textual research of famous tablets and notes. . His calligraphy style which followed Ouyang Xun, Yan Zhenqing and Su Shi, is simple and elegant. As well- known as Liu Yong, Liang Zhongshu and Wang Wenzhi, he was adept in running and small regular scripts.